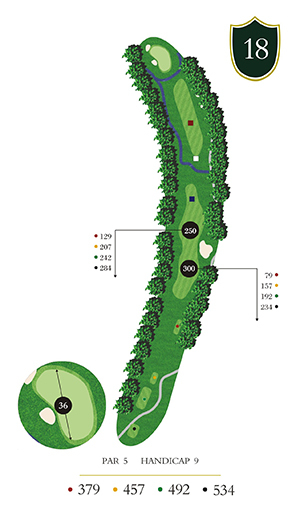 Our longest hole at 534 yards, this Par 5 doglegs to the left. 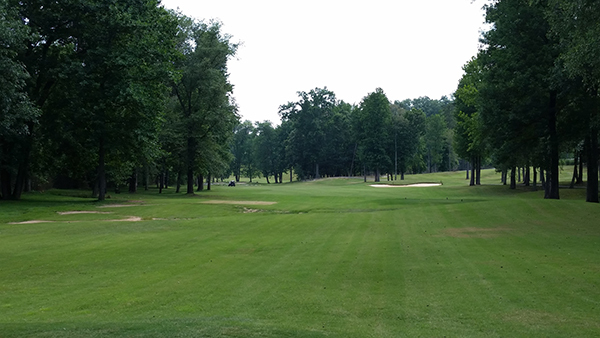 The golfer must navigate a large fairway bunker on the right and two rocked creeks that cross the fairway on the way into this large green. The entire left hand side of the hole is protected by Buffalo Shoals Creek. The right hand side is wooded in areas.